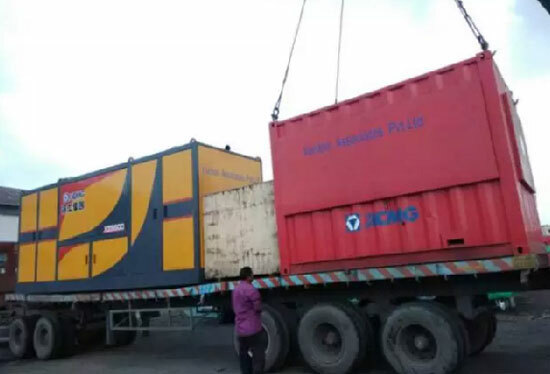 XCMG’s largest-tonnage horizontal directional drilling so far has been exported to India lately, the company’s XZ6600 horizontal directional drilling, featuring the maximum force 6600KN, will be utilized in the natural gas pipeline project across the Ganges River. Mr. Lei Nuo, from XCMG Import & Export Co., Ltd. is in charge of the Indian market of XCMG. Upon talking about the export of XZ6600, he firstly mentioned about his negotiating with customers concerning the 300t directional drilling for the first time in 2015. 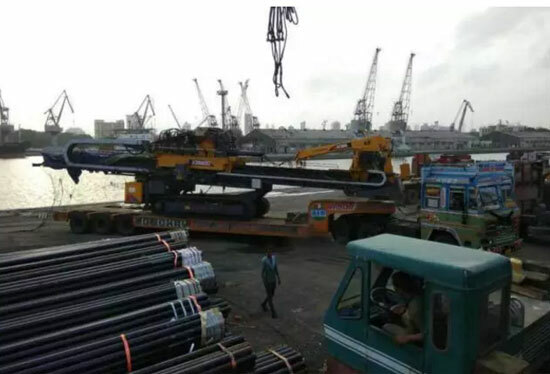 As such product of XCMG has not realized export in batches to India, the horizontal directional drilling was not the primary selection of consumers. 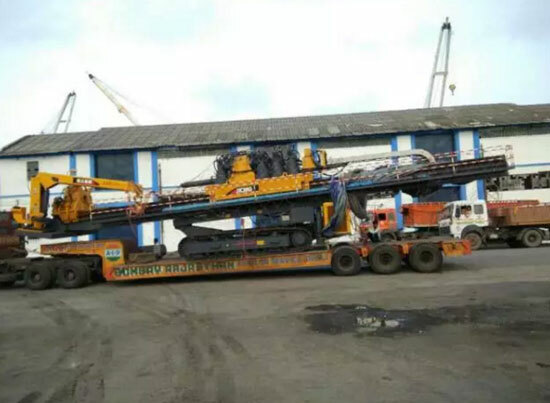 However, the customers have been finally moved after nearly three-month long proactive communication regarding XCMG’s industrial reputation and cases of global users, and they decided to purchase the horizontal directional drilling of XCMG to take a try. The consumer once joked after making the order, saying that this is my first time to select XCMG’s product, because I am not sure whether your equipment could accomplish the project successfully. But I found you most reliable after a long time exchange. I believe in you and I would like to take a try. Mr. Lei Nuo was very proud upon talking his experience. I remember that the first task of XZ3000 was on China’s Spring Festival. But in order to guarantee the complete safety while make customers relieved, the business manager particularly applied the company for maintenance team of service and technology so as to provide the integrated training and service support of the project. The project was successfully finished after 2-month resident services, during which no problem occurred concerning the equipment. The customers told us delightedly: the quality of your products is indeed very good, and all your company people were at the site the whole time, it makes me relieved. I will introduce XCMG’s products to more friends. At present, numerous achievement of that XZ3000 has helped customers to continuously expand his business. 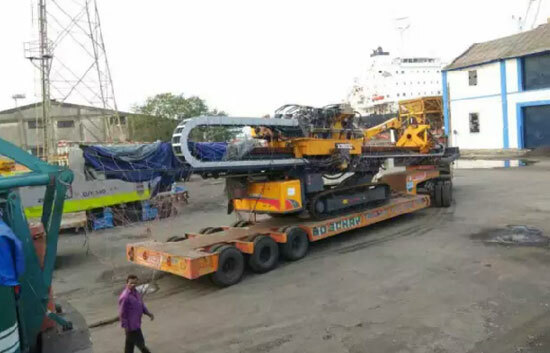 XZ6600 and XZ3000, the equipment with largest tonnage of XCMG arriving in India for joint construction, have both operated across the Ganges River. A customer has expressed his delight in having opportunity to use XCMG’s largest horizontal directional drilling products, he believed that XZ6600 will undoubtedly accomplish the task successfully, meanwhile he was also happy to introduce XCMG’s products to his friends, allowing more and more people to understand and use the high-quality and high cost-effective equipment of XCMG in construction. Adhering to the golden standard of “Leading Technology, Everlasting Products”, XCMG has witnessed year-on-year great increases in sales volume since its exploring the horizontal directional drilling market in India in 2013. At present, the ownership of such drilling product is about 200 sets in India, and the relevant sales volume claims the first position in Indian market so far this year.